Our history is deeply rooted in the Telecommunications industry. Our founding executives’ experience has built the cornerstone to what our company and corporate vision continues to be today. 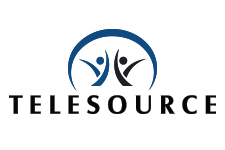 TeleSource was built on the expectations of being a visionary, motivated, group determined to change the telecommunications industry for the better. This drive and inclusion of the right tool provides our clients the highest level of visibility and cost-effective results. Many of the recognized brands in Retail, Manufacturing, Housing, and Transportation rely on TeleSource. We coordinate, deploy, audit and manage both mobile and wireline solutions built for your business needs. We deliver complete Telecommunications products and services to keep organizations running smooth, so that businesses can focus on growth. As our industry has changed, our team also has changed. We have seen the trends of offering software as a service and think there is much more to offer than just that. Very few are successful that attempt this and of those that are, no-one offers a complete end-to-end service as we do. Our vision is to offer a complete service solution to our clients. The three components of our logo define who we are as a company. Visibility, Accountability, and Connect. Making connections and unifying people and partners is what we’re all about. In today’s business world, we accomplish so much and gain satisfaction from helping our customers celebrate their successes. It’s much more satisfying to realize that you’ve helped them meet their operational goals. Our 100+ years combined service, relationships and industry-leading tools enable us to handle the most tedious billing challenges with ease. The results speak for themselves. Our clients expect results with everything we accomplish from negotiating their carrier service agreement to managing new network installations as well as staffing and maintaining a carrier-agnostic technical assistance center. Our dedicated account representatives thrive on the opportunity to sell, support and creatively adapt to our clients’ business goals. Their continual emphasis on change in the industry is a perfect fit to reinforce that they are accountable for the success of not only themselves but our clients as well.